Exploring elemental magic, and a giveaway of Runebinder and Eragon! For our final article on one of our new favorite books, Runebinder, we’ve invited author Alex R. Khaler to write a guest post on the incredible elemental magic system found in his books. Earlier in the week, we told you why we love Runebinder and why you will too, and revealed the cover and an excerpt from the second book in the Runebinder Chronicles! 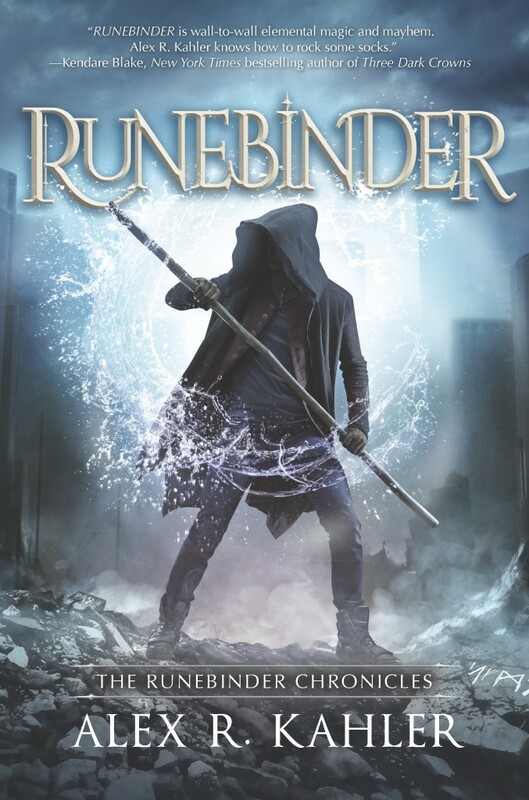 – ‘Runebinder’ is the elemental magic book we need before ‘Book 5’! – ‘Runebreaker’ cover reveal and book excerpt! As a thank you to fans who have taken time to explore his book, Alex has given us several autographed books to raffle off to our fans! These books include a signed copy of Runebinder, three signed ARCs of Runebinder, and Shur’tugal has also contributed an autographed copy of Eragon! You can read the first two chapters of Runebinder for free via Amazon’s Kindle service (in browser, on your phone, or on a Kindle device)! In his guest post, Alex discusses the story’s unique elemental magic system, including his early inspiration, what it encompasses, and how it works in his books. Aspiring authors take note – Alex first started crafting this system over a decade ago! Never scrap a great idea! I have always been the kid seeking magic in the mundane. I grew up on The Wheel of Time and Book of Three and Dragonlance. I saw dragons in shadows and otherworldly portals between oak trees. I dove headfirst into the arcane. So it’s really no surprise to me that the magical system of Runebinder has been in development longer than any other aspect—I started dreaming up the system nearly twenty years ago. Characters and worlds changed, but the magic always remained the same. At heart, the Spheres of Magic are five energy centers within the body, resting along the spinal cord. Each Sphere is linked to an element (Earth, Water, Fire, Air, and Maya, or Spirit) and is in charge of creating that energy within the body. In the world of Runebinder, humans found a way to tap into these energy centers, and in turn use them to manipulate the corresponding elements in the external world. Magic was born. For a price. Use too much of an element, and it begins to drain the Sphere, causing physical and emotional reactions. Continue using it (or, as case may be, have someone pull the energy out of you) and the Sphere collapses. And rather than creating energy, the Sphere consumes it, twisting the human host into a half-dead monster driven by only one goal: satiate the hunger of their broken Sphere. An impossible task. Thus, the Howls were born. So much of my influence for the Spheres of Magic was drawn from neo-paganism and Eastern mysticism. Many cultures believe that the human body contains all the base elements found within nature, and there are various roadmaps of connectivity between them. Indian philosophy has the chakras and nadis. Chinese medicine uses meridians and nodes. In neo-paganism, the elements are tied to human emotions and functions. Commonalities between the systems were many, and that’s barely scratching the surface. This gave me a great deal to play with in Runebinder. By linking the Spheres to elements and physical/emotional traits, I was able to create a rich tapestry of cause and effect. Overusing the Spheres creates dysfunction—too much Water leads to depression, too much Earth to weakness, etc. What surprised me, though, was how ripe mythology was to lend me corresponding monsters. Fire is associated with rage and sexuality, and what better monster to crave those things than a succubus? Water is linked to blood, which gave me a new variation of vampire (called a bloodling). Earth gave me flesh-hungry kravens (zombies, but fast), and Air gave us the diabolical Breathless. And Maya…well, Maya has yet to be tapped. Pray it never happens. In the cases of mages and monsters, the associated Sphere can change the host entirely. Physically altering appearances. Honing or exacerbating certain traits. Altering motivations and drives. The protagonist of Runebinder, Tenn, primarily uses Water, and is incredibly moody and prone to falling back into the past. in Runebreaker, we will meet Aidan, a Fire mage with only one thing on his mind: moving forward to victory. Two incredibly different dynamics for protagonists. Two very different motivations for fighting against (hopefully against) evil. Needless to say, it’s going to be…explosive…when they finally meet. Which Sphere do you think you would embody? If you need a hint, you can take the official test over at www.runebinder.com! There’s also a great deal more info on the magic, monsters, and mages of the Runebinder world. Entry closes on April 5th and winners will be announced on April 6th!